See a selection of our portfolio below. 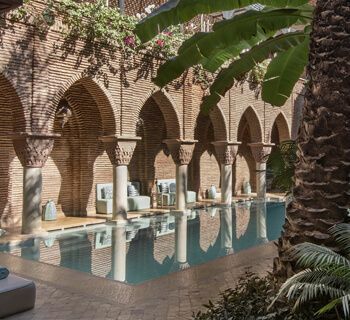 Reminiscent of a 16th century palace, Royal Mansour, Marrakech, is hidden away in manicured gardens, offering visitors a tranquil retreat away from the hustle and bustle of the city. 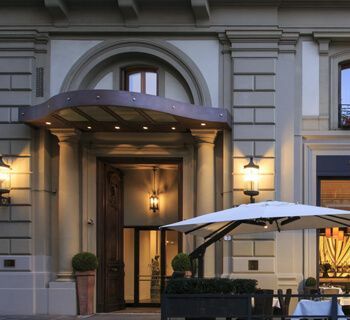 Located in the middle of the historic city of Florence, Hotel Savoy, a Rocco Forte Hotel, exudes style and sophistication and has been hosting guests for over a century. Modern and classical art and craft pieces adorn the hotel, while rooms and suites each have their own distinct character, with sumptuous, traditional furnishings and first-class amenities. 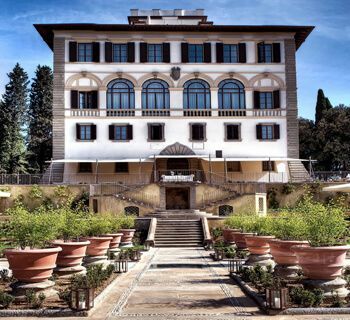 Il Salviatino is a stunning 15th century palazzo sitting majestically atop the Fiesole hills overlooking Florence. If you’re searching for a luxury hotel in the heart of Marrakech’s Medina, La Sultana, Marrakech, could be the ideal choice. This 5 star hotel reflects the architectural styles and rich culture of Morocco, with many original features dating back hundreds of years. Although modern facilities have been added, La Sultana retains the charm and elegance of a bygone era. The 5 star La Villa des Orangers is located in the heart of the Marrakech Medina between the Royal Palace and the Jemaa El Fna Square. The hotel offers a calm oasis away from the hustle and bustle of the city and enjoys splendid views of the Atlas Mountains. With warm hospitality and attentive service, guests at La Villa des Orangers, Marrakech, are guaranteed to have a relaxing and memorable holiday. Mandarin Oriental, Marrakech, is a five star resort set in 20 hectares of fragrant gardens and olive groves. If you’re looking for a relaxing oasis with close proximity to the city centre, this luxury hotel could be the ideal choice. If you’re looking for an elegant hotel in the heart of Venice that offers luxurious comfort and supreme hospitality, Palazzo Giovanelli ticks all the right boxes. 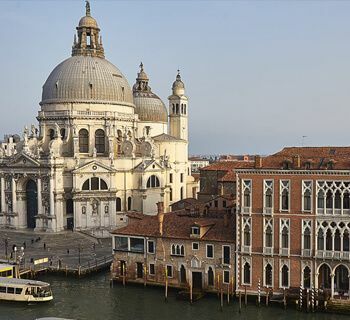 Ideally located, the hotel overlooks the Grand Canal, next to San Stae church and near to the famous St. Mark's Square. The building dates back to the 1500s and has a long history of housing notable guests, including Mozart and Frederick Christian IV, the King of Denmark. 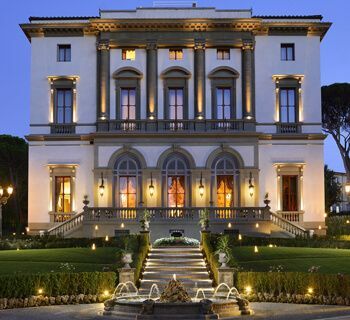 For the chance to stay in the palatial home of an esteemed Count, we suggest the stunning Palazzo Manfredi. 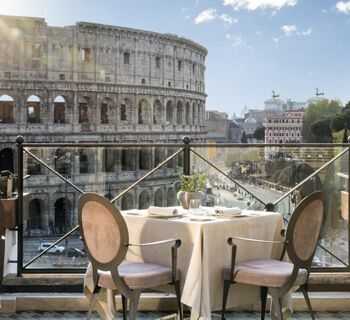 This hotel has an extraordinary history and it’s also a mere stone’s throw from world-famous Roman sites such as the ancient Colosseum that beatifically sits just beneath the breakfast terrace. Rooms and suites in Palazzo Manfredi are elegantly furnished with traditional pieces and contemporary design, giving this place a unique and welcoming feel. Villa Cora is, quite simply, magnificent. Built in the 1870s by Baron Oppenheim for his wife, this ravishing palace sits atop a hill overlooking the Boboli Gardens and epitomises the grandeur and opulence of the baroque style. Whether you’re sipping a chilled cocktail on the stunning rooftop terrace with its panoramic views over Florence, or enjoying the manicured gardens that surround the hotel, you’re guaranteed to have an unforgettable stay. Just 30 minutes from the bustling heart of Florence, nestled in 20 hectares of lemon and olive groves and right next to the Arno River, lies the historic Villa La Massa. 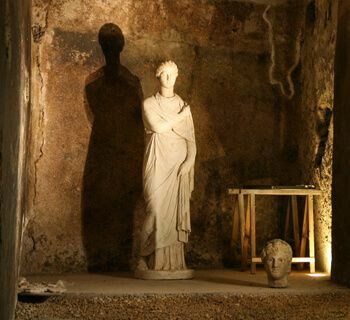 With its terracotta villa, vaulted ceilings, romantic archways and underground dining room, this Medici-era hotel is a gem waiting to be discovered.